Chanson des cueilleuses de lentisques, a setting by Michel Dimitri Calvocoressi, was composed by Maurice Ravel between 1904-1906 and published in 1906. It is the fourth song of his song cycle, 5 Mélodies populaires grecques. Ravel wrote the first of his 5 mélodies populaires grecques in 1904 at the request of a friend Pierre Aubry, who needed to illustrate a lecture he was giving on Greek folksongs. They asked Michel Calvocoressi, a mutual friend of theirs, to choose five Greek texts. Michel Calvocoressi selected them among popular songs from the island of Chios (a few kilometers away from Turkey). Ravel composed the song cycle in two days. He, later, wrote three more songs and the collection of eight was published and translated to French in 1906. Years later, Ravel orchestrated the two first songs but soon lost interest and the remaining three were arranged by Rosenthal in 1935. Ravel was especially fond of a remarkable version of the 5 mélodies populaires grecques for Harp and voice orchestrated by Carlos Salzedo around 1930. Chanson des cueilleuses de lentisques is the fourth song of the 5 mélodies populaires grecques. Ravel sets the text (once again a declaration of love) on a gentle Lydian inflected mode. The vocal line is left quite exposed, barely supported by cords from time to time at the piano. The melismatic repetitive melody seems almost like an incantation, yet soft and melancholic. 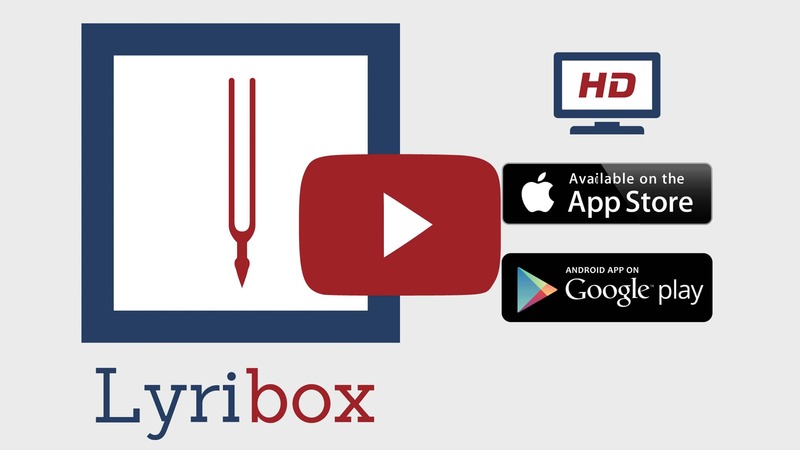 Lyribox, the popular online platform for classical sheet music, accompaniment and ipa translations brings the best by M. Ravel by offering the sheet music, accompaniments and translations to the fans gathered around the site, for the best price that could be found online. The sheet music, accompaniments and translations provided by Lyribox for are of highest quality and accuracy. Chanson des cueilleuses de lentisques originated was composed by Maurice Ravel . The original lyrics are in French. The melodious note arrangement of Chanson des cueilleuses de lentisques ranges from pianissimo (very soft) mellow notes to forte (loud) notes carrying the player and the audience through an array of vivid emotions. The sweet soft beginning of the music piece gradually increases and decreases the loudness in smooth transitions. This music piece is decorated with phrases, slurs and an arpeggio. A perfect composition for piano players to try with an intermediate knowledge in music. Students can make use of this sweet music piece to improve their knowledge in music expressions, ornaments and sight-reading, while all music lovers could enjoy this brilliant extract whole-heartedly. Chanson des cueilleuses de lentisques sheet music produced by Lyribox is clear, precise and is transcribed in English by Lyribox. By purchasing Chanson des cueilleuses de lentisques sheet music from us, you can simply sing along as you play this masterpiece on your piano. Unlike many sheet music sold online with all black notations, sheet music we offer you is marked using three distinct colors. While piano notation is illustrated in black, the music expressions and the lyrics are given in red and blue respectively. Get Chanson des cueilleuses de lentisques by M. Ravel sheet music from Lyribox today to enjoy and share this wonderful music composition with your friends and family. Chanson des cueilleuses de lentisques piano accompaniment is offered by Lyribox is mellow and smooth. It feeds the poem an underlying pulse, adding a sense of propulsion to it. Meanwhile the vocal line flows in a dreamy leisure manner forcing the audience into a calming and languid mood. The vocal line of Chanson des cueilleuses de lentisques by Lyribox has the potential to provide slight pitch support for the voice’s sometimes unusual intervals, enhancing the fullness of it. This accompaniment is not at all demanding. Using these rich Chanson des cueilleuses de lentisques accompaniments you could create one of the most brilliant performances that is pregnant with layers and layers of expressions. Purchase the Chanson des cueilleuses de lentisques piano accompaniment together with the vocal line accompaniment from Lyribox today!